A new Nature Genetics report says that scientists may be closer to understanding how genes can influence serious heart conditions. The failure to turn off a specific gene at the right time in an embryo’s development could mean illness later in life. Mice in which the gene was left active were born apparently healthy, but suffered heart muscle problems later. A heart charity said it might one day be possible to fix the genetic switch. The science of “epigenetics”, which places importance not just on the genes you carry, but also how well they are working, is a relatively new area. There is increasing evidence that suggests that while you carry the same set of genes for life, environmental factors, such as diet or even your mother’s health while you are in the womb, could affect their activity, and your chances of certain illnesses later in life. 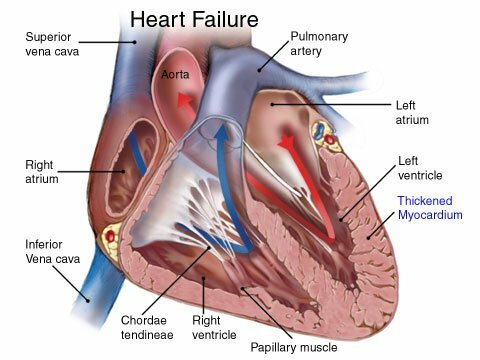 The scientists from the Gladstone Institute in San Francisco focused on two genes, and their role in cardiomyopathy, a enlarging and weakening of the heart muscle which is a feature in life-threatening heart defects in children and adults. One of the genes, called Six1, appears to play an important role in embryonic heart development, while the other, Ezh2, seems to have the job of switching off genes, including Six1, when they are no longer needed. The scientists tested the precise relationship by stopping Ezh2 from working in the embryo and foetus at various points during pregnancy, thereby allowing Six1 to go on working for longer than usual. They found that while the mice were born apparently normal and healthy, they then started to develop the signs of cardiomyopathy. This suggested that although leaving Six1 switched on in humans might produce a seemingly healthy baby, it could be storing up heart problems for later in life. Analysis of the results revealed that, in a healthy pregnancy, Six1 should only normally be switched on briefly during heart development. Dr. Paul Delgado-Olguin, one of the team, said: “When Six1 remains active for too long in Ezh2-deficient mice, it boosts the activity of other genes that shouldn’t be activated in heart muscle cells – such as genes that make skeletal muscle. They are hopeful that further work will reveal more about the roots of congenital heart problems in early life.